Now that summer is in full swing, Australians are spending more time in the sun and more money on sunscreens. But is it money well spent? Maybe not. That’s a trade-off most people aren’t willing to make once they understand it. In this post, we take a closer look at SPF and give you the facts you need to make the right choice for your skin this summer. UVA (ultraviolet-A) rays are a longer wavelength of sunlight. UVA penetrates deeper into the skin than UVB, where it increases collagenase, and will cause immediate suntan, not sunburn. UVA also generates free radicals in living skin, which contribute to skin damage, wrinkling, and pre-mature ageing as this collagenase is the primary factor in deteriorating the collagen of your dermis . Unlike less powerful UVB rays, UVA passes right through clouds and glass, and it is essentially at the same strength 365 days a year. The SPF of a sunscreen doesn’t measure how much UVA protection it offers. UVB rays cause sunburn and damage the skin, and can contribute to melanoma (skin cancer). UVC rays are of no concern. They do not penetrate the ozone layer and thus do not reach our skin. dermaviduals sunscreen SPF15 offers broad-spectrum sunscreen protection, which means it guards against the damage caused by both UVA and UVB rays. dermaviduals sunscreen SPF 15 feels wonderful on your skin for daily use. Apply it and take time to let your skin absorb it before exposing yourself to the sun. Don’t skimp. You need to apply a sufficient amount of it to achieve the labelled SPF of 15. 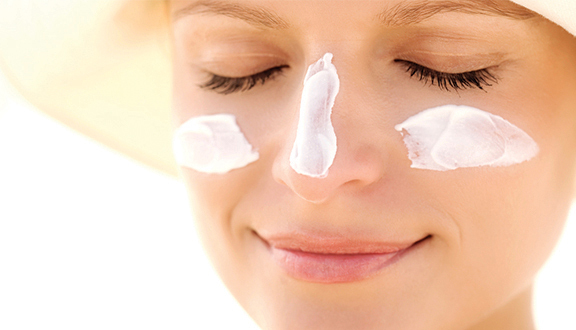 Plus, applying the cream regularly throughout the day will maintain your sun protection. We recommend applying SPF over your moisturiser. Here’s a special tip for summertime skincare in Australia: before re-applying sunscreen, be sure to dry off your skin if you are perspiring or have been in the pool or ocean. Of course, an SPF 30 should be applied for activities that involve swimming, sailing and water reflection, wind and snow. dermaviduals offers many forms of sun protection to keep you and your skin looking radiant. Check with your aesthetic professional or visit your favourite medispa to learn more.